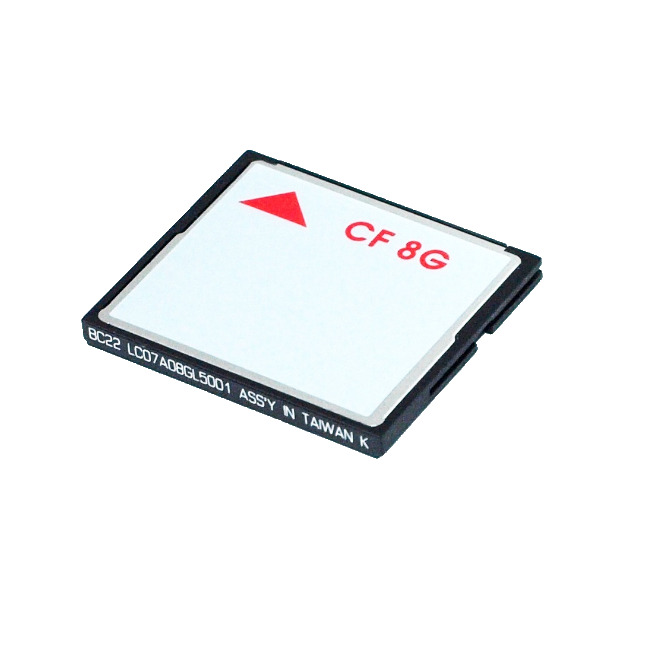 PC Engines 8 GB CompactFlash card, SMI 2232 controller, SLC flash. Supports UDMA. Mikrotik RouterOS is ultra picky about CF controllers, not recommended. Please note that these cards support DMA, must disable DMA when used on WRAP.1C / .1D / .2C boards. NAND flash does not have unlimited endurance. SLC flash offers higher endurance (100K vs. 10K erase cycles) and better read performance.